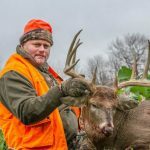 " We let the deer tell us what seeds to put in our blends"
"Keep your deer alive, healthy and productive"
Real World Wildlife Products is much different than other food plot seed companies. First and foremost, we are hunters and land managers ourselves. 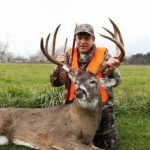 We were not a seed company that decided to start marketing food plot seed to hunters, instead we are hunters who became frustrated with the food plot products on the market and the marketing tactics of the companies selling them. 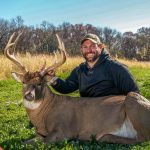 Our “business plan” has always been very simple – develop the very best wildlife food plot blends possible and then market them at a fair price while using education, rather than deception, to help our customers get the most from our products. We refuse to use marketing ploys such as cheap filler seeds and excess seed coating to increase our profit margins. THE DARE TO COMPARE CHALLENGE! Real World Wildlife Products is likely the only food plot seed company in business that challenges you to buy a competitor's similar product and plant it side-by-side next to ours. There are four key things to compare when using our product vs. a competitor's. See the difference for yourself, Dare to Compare! Real World refuses to use cheap filler seeds. Real World gives you more seed for less money. Real World gives you more seed per acre. REAL WORLD WILDLIFE PRODUCTS ARE DESIGNED TO HELP YOU SUCCEED.